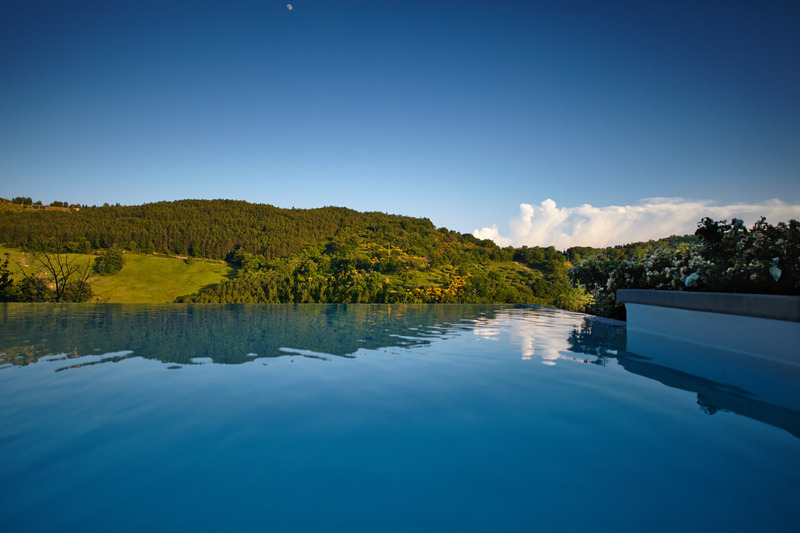 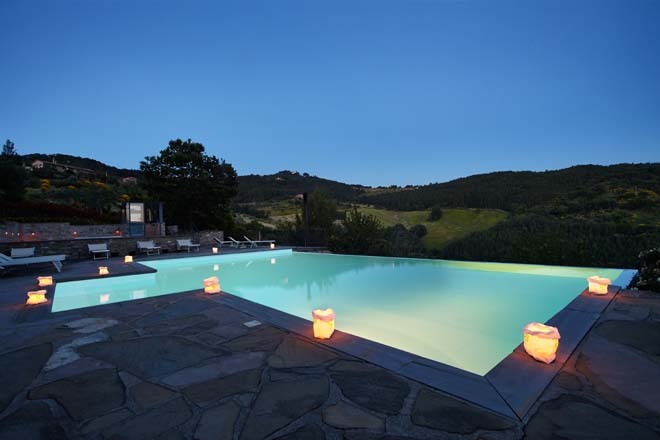 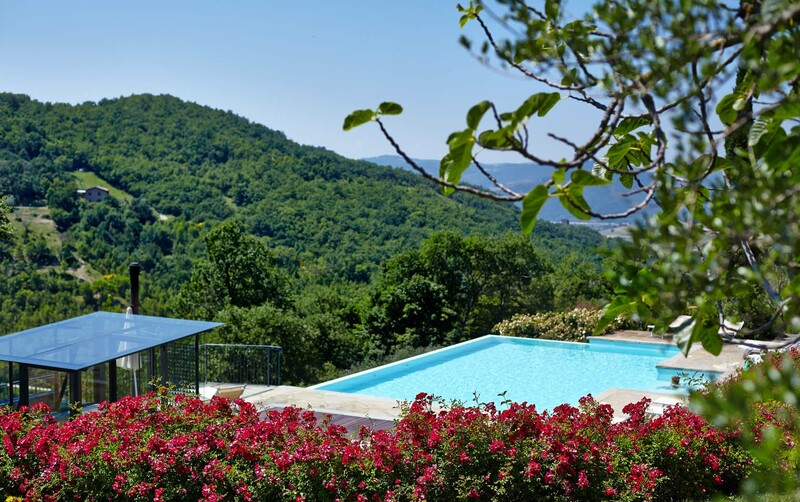 Prominently situated on a ridge which stretches into the centre of the valley, The Locanda del Gallo commands fine views over its 28 hectares of gardens, terraced lawns and woodland. Stroll at leisure through the olive grove, inhale the scent of roses and herbs, or simply curl up with a book under the shade of the old elm tree. 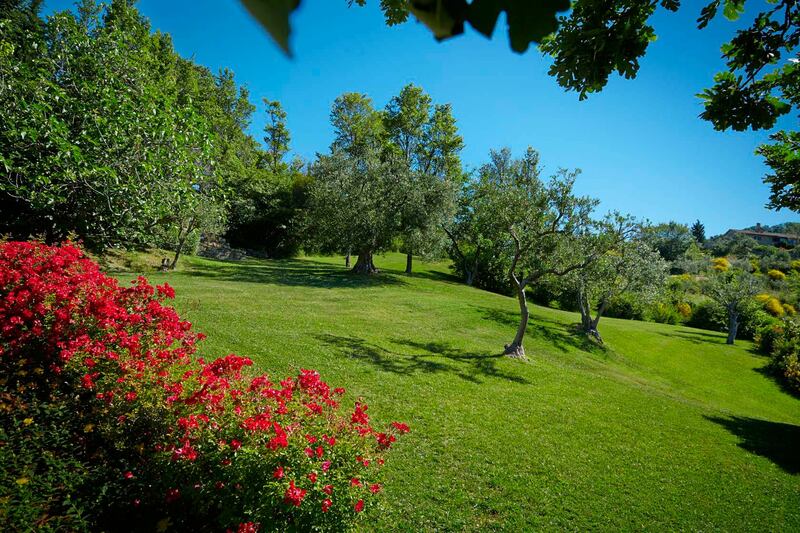 The gardens hold many hidden gems and secret corners for you to discover. 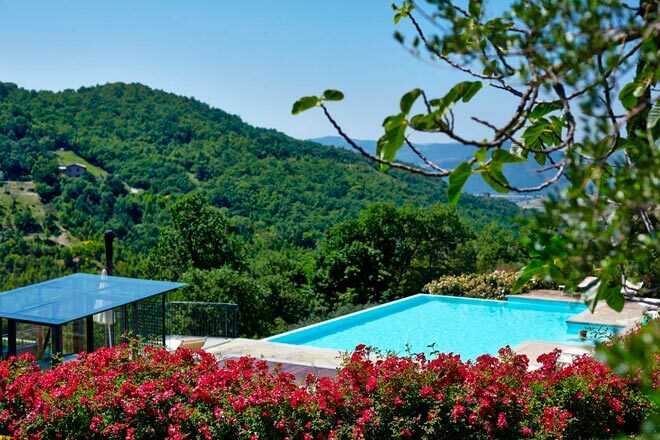 In one, an ecological chlorine-free swimming pool, encircled by comfortable sun loungers and close by the sybaritic delight of an outdoor Jacuzzi whirlpool spa. 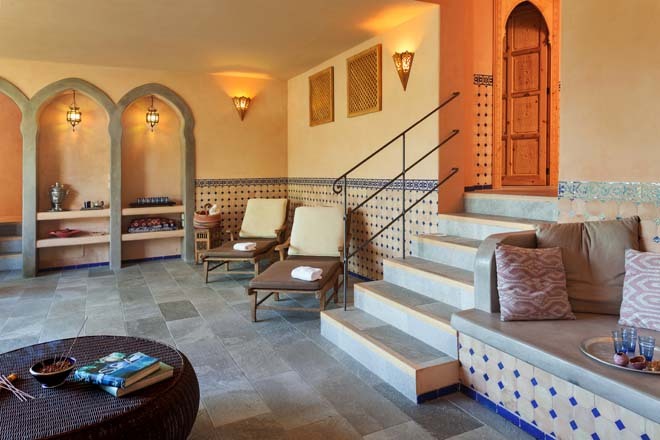 Or descend a few steps and enter the small Moorish style spa, let your tensions slip away in the Turkish bath and then immerse yourself in a cloud of cool, refreshing, mint scented water, before heading for the peace of the salon overlooking the verdant landscape to sip a tisane, or read a book, or revive yourself under the hands of our masseuse.